Though high tenacity polyester cargo lashing belt has good shrinkage and toughness, but you still need to take good care of your cargo lashing belt to avoid safety problems. Here we will share some tips for maintaining cargo lashing belt. 1. Cargo lashing belt should be put in dry places and avoided ultraviolet radiation. Do not put cargo lashing belt near heat source. The most important you should take care is to avoid chemical and mechanical damage. 2. If a cargo lashing belt gets wet or damp during use, allow it to dry thoroughly before storing it away to prevent mildew. 3. After each use, wrap the cargo lashing belt around the ratchet and secure it with a rubber band. Even better, keep all of your cargo lashing belts stored safely together in a carrying bag. 4. Always inspect the cargo lashing belt after each use. Look for frayed fibers where a sharp edge may have come into contact with the belt. To prevent further damage from corners, use rubber corner strap protectors. 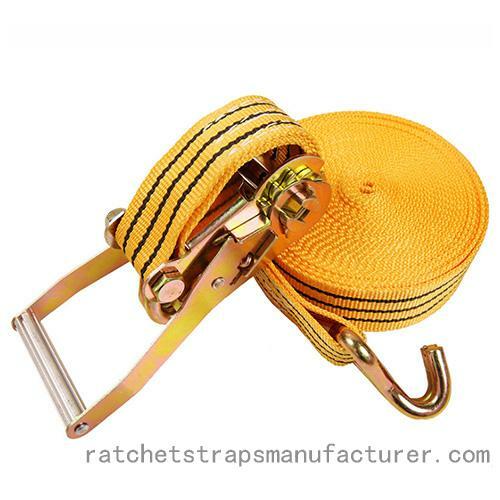 They are cheap and easy to use and will help maintain the integrity of your cargo lashing belt.